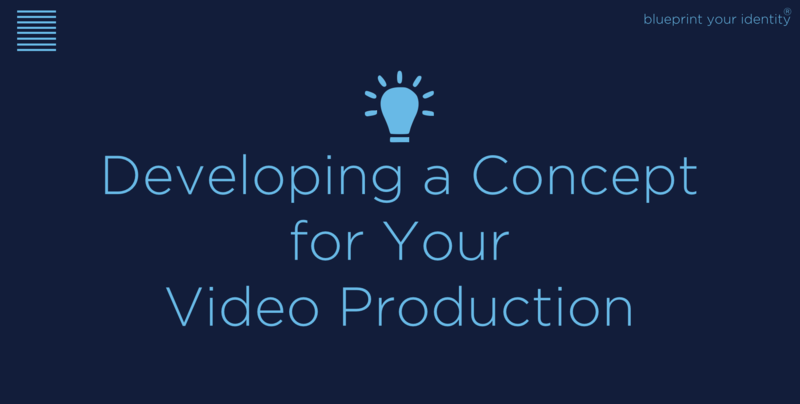 Now you have completed your video production brief, getting the right idea is essential for achieving the right results. It is key to find the right balance between creativity and boredom for your video. Getting it wrong either way can result in embarrassment. Persona driven: Make sure your idea suits your target market. Think extensively about your audience persona instead of just your business, product or service. Consider your audience as an individual. Figure out where that person might be, what they may need and what they would be interested in seeing. Time - The more time you have to think about the video subconsciously, the more ideas you will develop. Challenge Everyone - Ensure everyone is tasked with coming up with their own ideas. Don’t just leave it to the most creative or smartest person in the room. This needs to be managed correctly. Brief the team. Let everyone go away and think about it tasked with presenting at least one idea when you meet next. Not only is this a more collaborative process but often you will find the shyest person will impact the final idea. Creative Process - The best aid we have found for a creative process is this App, which helps you think differently about what you are trying to create. You may end up back with the original idea you started with, but it is still important to explore ideas. Refine & Evolve - It is best to develop two or three ideas for any project. Once you have decided on a concept try using different visual languagues or styles, creating alternative versions or changing the order, outcomes or final ending. What & Why - Be sure that at the heart of every concept, you have a reason for what you are doing that is relevant to the objectives in the brief.